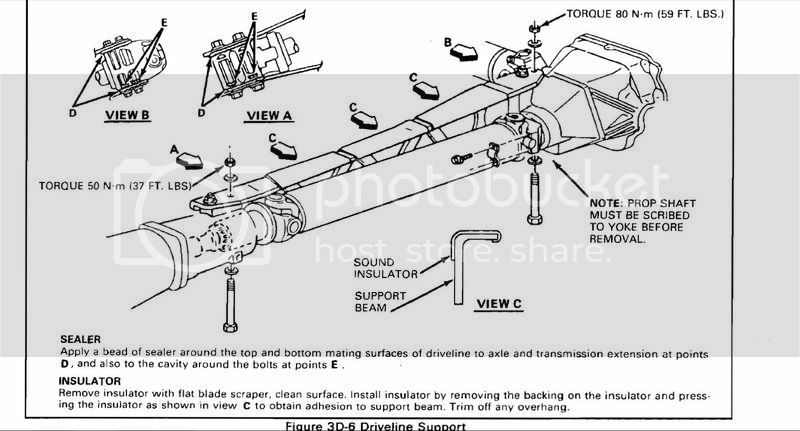 THERES HOLES IN YOUR TAIL SHAFT,THE THING IS THAY RUN <<<-->>> ; FRONT TO BACK TO SUPPORT THE BEAM THAT TIES THE TRANS TO THE REAR.SO YA GOTA FAB UP A CROSSMEMBER ETC TO MATE IT TO THE TRANS.DONT KNOW IF YOU COULD USE A DIFFERENT TAIL SHAFT FOR A SIDEWAYS MOUNTED TRANS MOUNT & A UNIVERSAL X MEMBER. 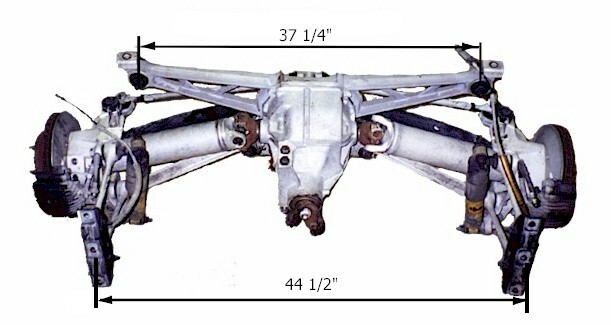 THERE'S THE REAR,IF THATS WHAT YOUR GONA USE.YOU CAN SEE ON THE LEFT WHERE THE BEAM BOLTS TO.THAT MAKES THE TRANS & REAR SOLID,SO NO CROSS MEMBERS ARE NEEDED. THE TOP OF THE REAR IS THE "BAT WING"
THAT HAS TO BE ADAPTED TO YOUR FRAME IN THE REAR. THEN THE FRONT LINKS TO THE FRAME ALSO.NOTHING SHOULD BE BOLTED TO THE FLOOR BOARDS. THE C'4'S ARE A TOTALLY REDESIGNED ANIMAL & THERE'S A LOT OF EM OUT THERE.THE CATALYTIC CONVERTER OVER 2FT LONG & Y PIPES FRONT & REAR ARE ALSO ATTACHED TO THAT BEAM.EVERYTHING IS TUCKED UP IN THE "TUNNEL" BETWEEN THE SEATS & NOTHING HANGS BELOW THE SEAT WELL'S. 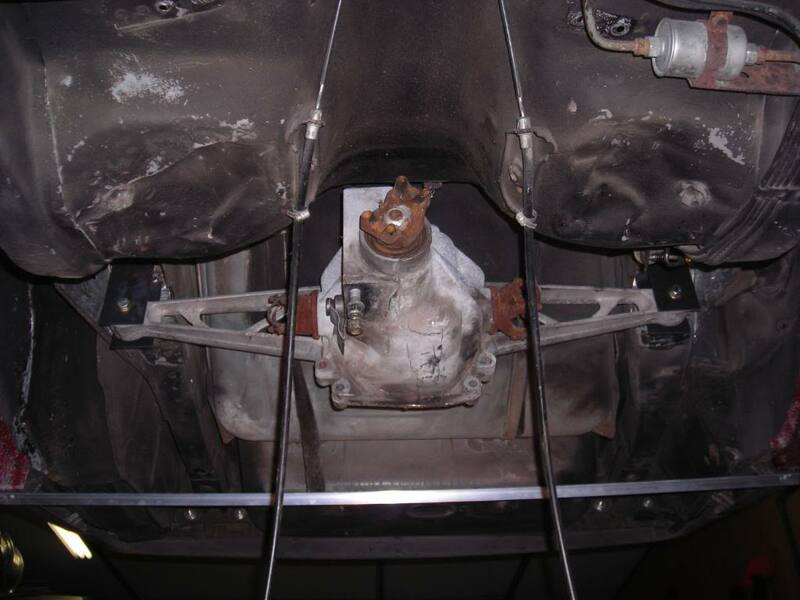 IN ALL MY YEARS I NEVER HEARD OF A "BEAM" FAILURE.ON MY 93 DROP TOP THERE'S A "X" BRACE UNDER THERE WITCH TAKES AWAY SOME GROUND CLEARANCE.I CANT DRIVE THAT THRU TOWN BECAUSE OF THE SPEED BUMPS.AS THE SAYING GOES "IT IS WHAT IT IS"
Execution time: 0.046 seconds. Total Queries: 17 Zlib Compression is on.